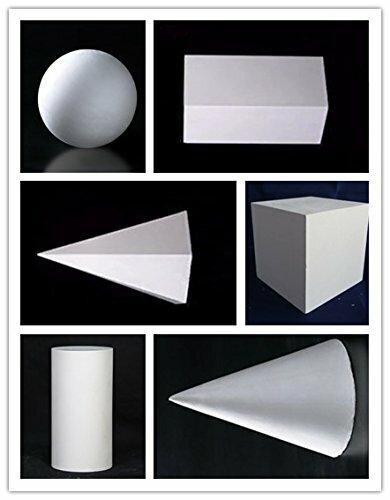 Gypsum geometry solids are used to draw many forms.This collection contains six different shapes.Each piece is made of plaster material and is durable and suitable for class use. If you have any questions about this product by GLWAD, contact us by completing and submitting the form below. If you are looking for a specif part number, please include it with your message.